The Best Wine Serving Temperatures The serving temperature and the storage temperatures are all that matter when it comes to wine. This article should help you be able to serve red, white and sparkling wine in the best temperature in the best of their flavors. The tastes and aroma of wine needs to be there when served that is why you have to observe the serving temperatures. An ideal temperature will give the person taking the wine an experience of a lifetime as there is a possibility that the aroma and taste of the wine will be fully unlocked. This is something most people do not consider yet it is not hard to work with. To begin with you need to know that the best temperature of serving sparkling wine is between forty to fifty degrees. The best way to go with a bubbly is to put it in the freezer for about an hour before you pop it. But this is risky because if it is forgotten you might have an explosion. If you have problems getting a freezer you can always keep the bottle in a bucket of cold ice and still expect the same results. This can be simply explained as below. The bubbles will not be changed to foam rather they will be kept finer than you expect because of the cold temperature. Returning the bottle of wine that has already been served a number of glasses into the cold ice bucket is very important if you want to maintain the taste of the wine. Cold temperature of around fifty to sixty degrees is the best temperature to serve white wine and rose. The only best way you are going to store white wine and rose cold is if you immediately buy it and put it in a freezer. But then there are times that you buy a wine and need to take it on the same day. The two options here include placing it in a freezer for about thirty minutes before taking it or placing it in a refrigerator for a number of hours before it is ready. The trick comes in when you have poured the first glasses and it is still being taken. 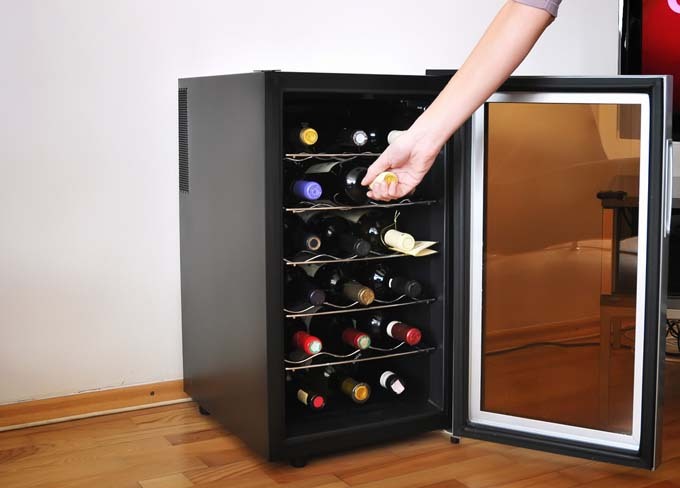 In this case you will have to let the wine cool in the bottle on the table which is different to sparkling wine. There is good in the temperature change in as much as aroma and taste is in question. A cool temperature of about 60 to 70 degrees is the best for serving red wine. The misconception of serving red wine at room temperature is the biggest mistake that people normally make. The best way to go about this is by placing it in a refrigerator an hour before serving it. Quicker results are also common with people when red wine is in question. Before serving it you can place it in a freezer for about fifteen minutes.